Yarn is Tactile merino-tencel, and I love the colors. I did the long version for the fun of it! 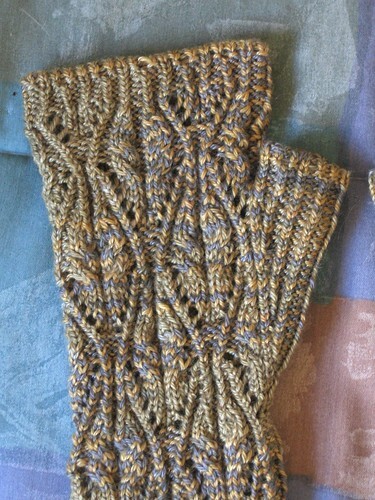 The pattern stitch is beautiful, and I’ll probably use it for a pair of socks sometime. I learned a new tubular cast-on, and was introduced to the wonders of the twisted rib – how I managed to never knit this simple stitch before is beyond me! Beautiful. Don’t you love it when you fine something new – was it the tubular co or the twisted rib? Actually, both were new to me. I’ve done other versions of the tubular cast-on, but not this one. 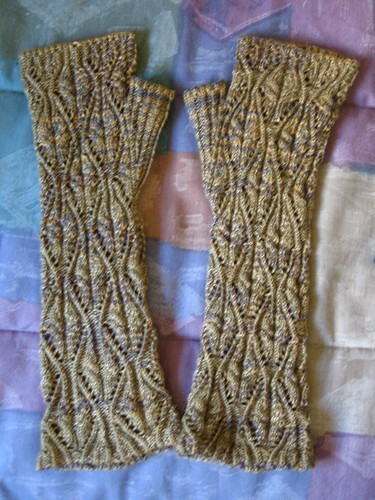 I can’t believe I have never knit twisted rib before, but I haven’t!